Quilt Fresh Air and Poverty at National Trust's Lyme Park. 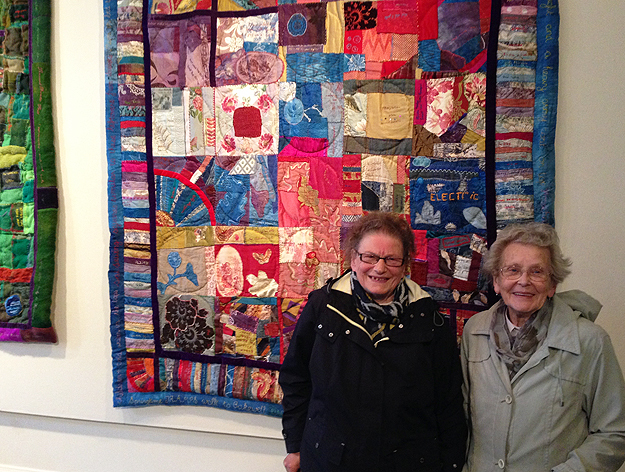 A pair of quilts has been embroidered with the wartime history of Derbyshire by older people in the county. History arts project, Stitching the Wars opens at Derbyshire Records Office 4th October until the 5th January 2018. The two quilts then go into the National Collection held by The Quilters’ Guild. Poems, reminiscence, photos and the Stitching the Wars book will be archived at Derbyshire Records Office. Lois Blackburn commented: "This is art made by the public and we've been delighted to witness its growth and the richness of experience it contains. It is touchable history, quilts hand-stitched by over 400 older people with fragments of their stories. One of the great joys of the project has been to witness the pleasure of people with dementia who have taken part, turning memory from a thing to be feared to a thing to be relished. These quilts are a precious contribution to us all." 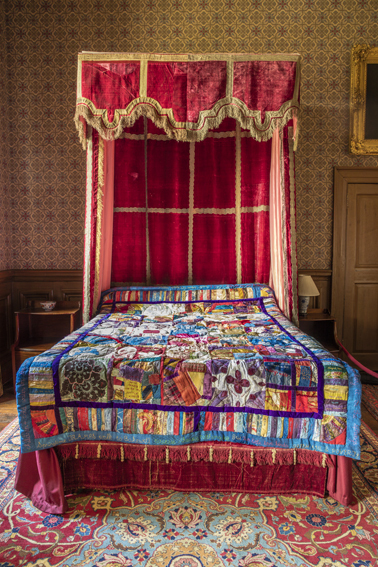 The poems that border the quilts and appear in the accompanying book and sound recordings were made in collaboration with poet Philip Davenport. "Sometimes the most extraordinary and powerful things are said in day-to-day conversation. We've painstakingly written down people's words and built them into poems together. Some of these are straightforward accounts of farming, cooking, schooldays, others are accounts of bombing raids and the fight to survive in wartime, and to survive poverty. It's a chorus of many voices, many experiences." The project has been supported by Arts Council England, Foundation Derbyshire, Derbyshire County Council, Derbyshire Dales Council, Age UK, The Alzheimer's Society and The Farming Life Centre. We would like to thank the many, many people who have participated and whose work has made this a very special project.